Come celebrate the Holidays with your favorite animals at the Aquarium of the Pacific in Long Beach! 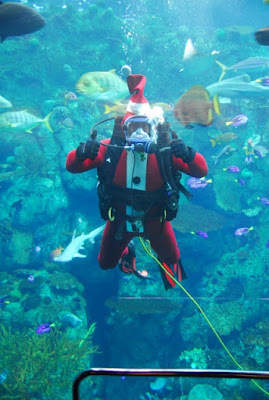 Even Sharks get to SCUBA dive with Santa! 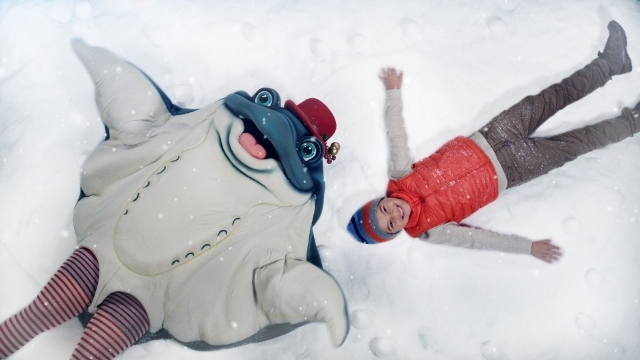 Enjoy snow with penguins the other inhabitants while they enjoy special flavorful surprises. Get into the holiday spirit early, and share the fun as the Aquarium’s animals receive their gifts from Santa Diver. In celebration of the holiday season, Santa Diver will be delivering treats to the Aquarium of the Pacific’s penguins, sea otters, seals, sea lions, birds, fish, and other animals during Holiday Treats for the Animals weekend on Saturday and Sunday, December 5-6, 2015. The animals are not the only ones celebrating; families can meet and greet penguins up close. Guests can see Santa Diver in action, and take photos with Santa in his traditional attire and holiday costumed characters. The festival will feature Hanukkah storytelling and dreidel activities. Holiday music, crafts, shopping, gingerbread house displays and more will be included in the festivities. To top it all off, snow will fall in the Aquarium’s Great Hall and guests can enjoy a snow play area on the front lawn (weather dependent). The Aquarium Holidays celebration will continue through December 24 with snow falls in the Great Hall, Santa Diver, and character appearances daily and music, penguin walks, visits from Santa, and the snow play area on weekends. Saturday & Sunday, December 5-6, 2015, from 9:00 a.m. to 5:00 p.m.
Print this Flyer Coupon and receive FREE Child Admission with Paid Adult Admission. Regular Child admission is $14.95. Print your coupon HERE. 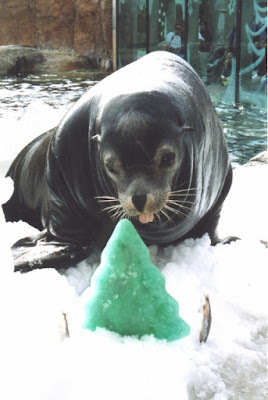 · Aquarium will be decked with festive décor. · Penguin Walks at 10 a.m.
DISCLAIMER: All photos are courtesy of the Aquarium of the Pacific. Winner must respond within 12 hours of giveaway or a new winner will be drawn.